Find a career to match your skills. 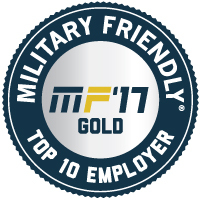 Search jobs by your military occupational specialty code or specialty. As a veteran, you have valuable skills and experience — but you may not know exactly how to translate them to the civilian workplace. We’re here to help. Barracks to Business workshops are designed to help you understand the job search process and create a strategy to pursue civilian employment while also introducing you to our vast career opportunities and benefits at Northwell Health. Click here to register for one of our upcoming workshops. With over a decade delivering exceptional services, our Office of Military and Veterans’ Liaison Services provides health and wellness resources for active military service members as well as veterans and their families. Being a veteran himself, our Director, Juan Serrano understands and is committed to meeting the unique needs of military personnel and their families. Click here to explore our full range of services. 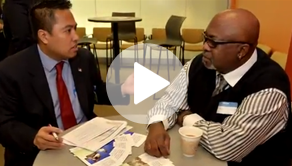 DiversityInc honored this innovative program that embraces military veteran employees and their families and provides mentoring to help veterans transition back into the civilian workforce. 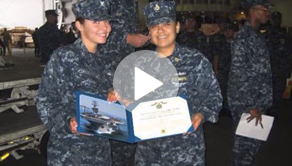 When you join VALOR as a Northwell Health employee, you’ll be with others who have served or currently serve in the U.S. military, have family members in the armed forces or have a special interest in military and veterans’ affairs. Take the next step with someone who’s already walked the walk. 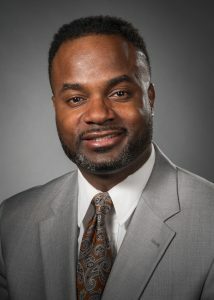 Lyndon is a U.S. Air Force Veteran and holds a BS Degree from New York University and has 4 years of recruiting experience in various career fields. This combination of experience gives him an unprecedented understanding of the issues facing veterans transitioning into civilian life. He will help facilitate your transition to a meaningful career with Northwell Health throughout a variety of important initiatives. 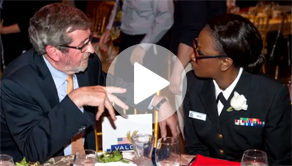 Northwell Health’s ‘Barracks to Business’ initiative.